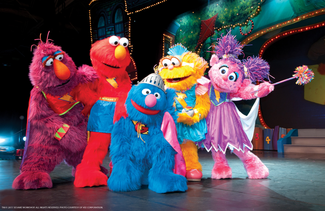 Flip Out Mama: Sesame Street Live: Elmo's Super Heroes Giveaway!!! 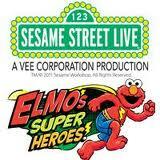 Sesame Street Live: Elmo's Super Heroes Giveaway!!! Okay everybody, today I have something REALLY, really exciting to share with you guys! We have been lucky enough to have the opportunity to go to see ELMO!! I don't know about your house, but around here, Elmo is a God. I mean, Bean is SO very obsessed with Elmo right now, it is not even funny! "Super Grover has lost his super-ness and Sesame Street needs a hero! Never fear, the fabulous five Super Heroes are here -- featuring Elmo as Captain Fuzzy! Elmo, Abby Cadabby, Big Bird and all their friends are on a quest to put the “super” back in Super Grover. Singing and dancing their way through fun lessons on healthy habits, they discover how exercise, rest, nutritious food and good hygiene can save Super Grover -- and turn your children into Super Heroes, too! You’ll be feeling good when Elmo’s Super Heroes comes to town!" How fun is this gonna be!?!?!? 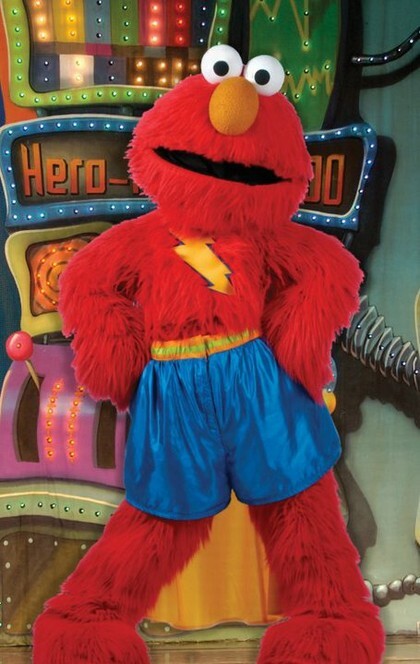 “Elmo’s Super Heroes” is coming to Rupp Arena, November 12 & 13! Use the passcode ERNIE at ticketmaster.com to receive the discount. Tickets are super affordable, starting at only $13.00!! I absolutely can't wait til Elmo comes to town! Not too much longer! And guess what!?! One lucky Flip Out Mama reader is going to have a chance to win a Family Four Pack of tickets to Sesame Street Live: Elmo's Super Heroes!! Entering to Win is SUPER EASY! To enter, just leave a comment on this post telling me who your favorite Sesame Street Character is!! Good luck everyone and keep an eye out for a follow up post after Elmo comes to town where we will share our fun and photos with all of you!! disclosure: I received tickets to this event to take my family. Although we recieved tickets, no monetary compensation was received, and all opinions are my own!